"Holy Classic 1966 Batmobile With Six-Inch Figures, Batman!" In recent years actors like Michael Keaton and Christian Bale have laid claim to the Batman character in movies, but your parents (or grandparents) are probably more familiar with Adam West's take on the superhero from the campy 1960s TV series. 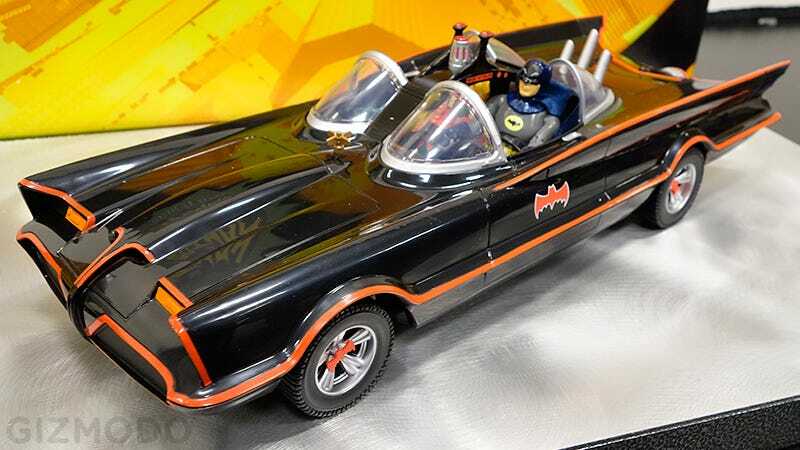 Which means that Mattel's gigantic version of the George Barris-designed 1966 Batmobile will appeal to toy collectors from any age group—even those enjoying retirement.